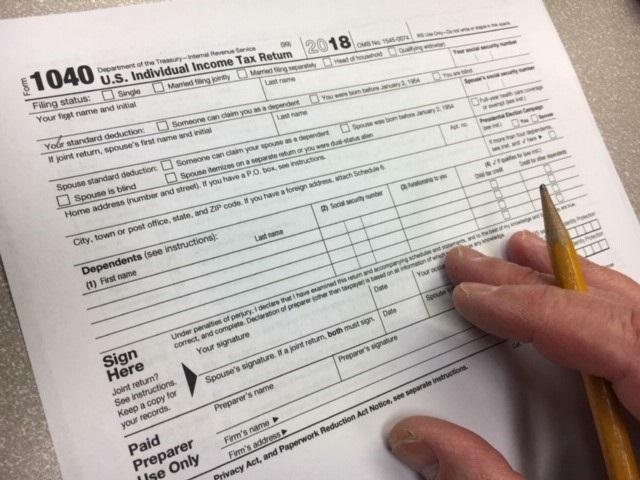 It's that time of year when taxpayers are preparing to file their 2018 returns. And it may be the first time people see what changes to the tax laws really mean. Certified Public Accountant and partner with the Bonadio Group, Jamie Crosley, says in addition to the increase in the standard deduction to $12 thousand for single filers and $24 thousand for married, but there's no longer any personal exemption. She says the child care credit doubled to $2 thousand dollars per child, and up to $14 hundred dollars of this credit is now refundable. ``You'll receive a portion of the credit whether you owe money in taxes or not. So if you owe zero money in taxes and you have one child with a child tax credit, you could potentially get a refund of up to $14 hundred bucks this year, that you never received before," she said. Crosley says withholdings were adjusted to reflect the change in tax rates and tax brackets, the increase in the standard deduction and the elimination of the personal exemption, among other changes. ``The withholding tables were adjusted, you know you were getting those amounts through the year. Are you going to owe more at the end of the year because of it? Ideally not, because the tax rates are decreasing. But there are several other changes that come into play, right? There's so many different tax laws that change," she said. Crosley recommends people get together with their tax professional to do a projection, because any changes that need to be made would be easier to make now, than at the end of the year. With so many changes that come into play, Crosley suggests people do their homework and find a preparer who is well-versed in the new tax laws.